Caption slip reads: "Photographer: Miller. Date: 1958-07-26. Reporter: MacMillin. Assignment: Wedding, San Marino. Mun. 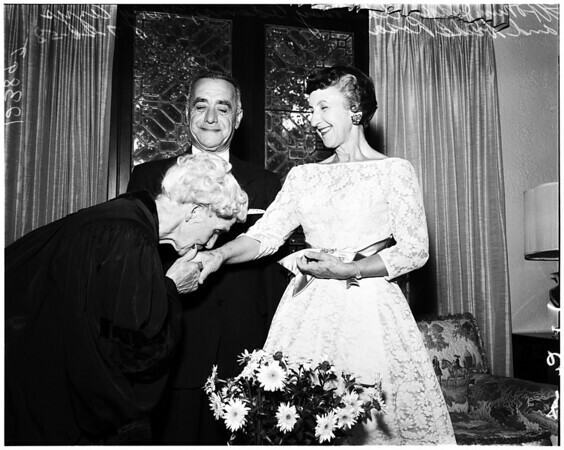 Judge Ida May Adams congratulates Harry Azus and his bride, Rosa, after wedding ceremony".